Martin Bookkeeping and Accountancy Services was founded by Samantha Martin to serve and meet the needs of small businesses and sole traders in Lisburn and its surrounding area. We offer a variety of services to help you manage your business. Samantha is a chartered accountant with ten years of experience in the accountancy profession, having been admitted to membership of Chartered Accountants Ireland in 2011. Samantha has a broad range of experience from general practice where she worked in accounts, audit and tax compliance. 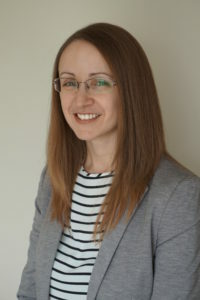 She has provided accountancy services and business advice to a variety of sole traders, partnerships, small and medium companies, clubs, credit unions and charities in relation to issues such as accounts preparation, personal and corporate tax, incorporation, VAT and record keeping. She is professional, pragmatic and a natural problem solver, providing you with the support you need to optimise your business. For a free consultation to start working with us today.